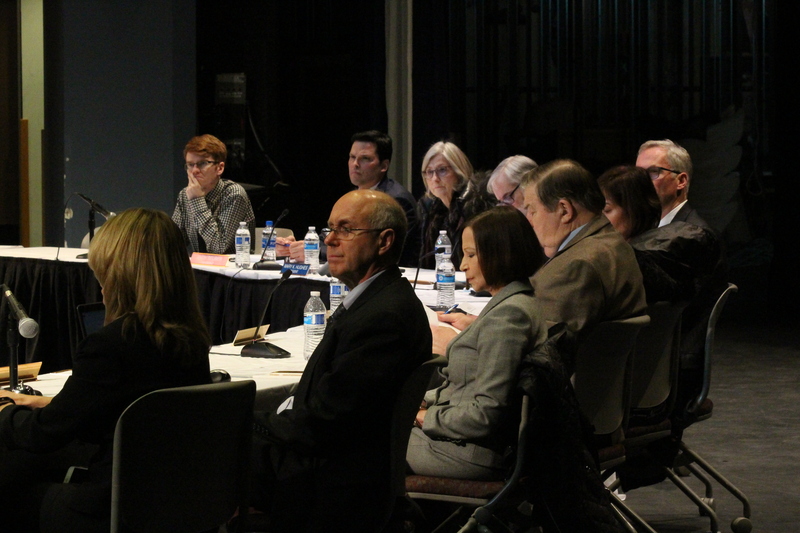 On Tuesday night, the University of Alaska Board of Regents heard public testimony from UAA students affected by the recent loss of accreditation for the education department. More than 25 students demanded action from university officials, some testifying more than once. UAA has 363 students in programs affected by the loss of accreditation. While students graduating this spring have been informed by the state board of education that they will receive teaching licenses, the future isn’t as clear for the rest of the students. As UAA and state officials work through the next options for the program, a looming question is whether or not UAA will apply for reaccreditation next year. While UAA’s chancellor Cathy Sandeen and Education Department Interim Director Claudia Dybdahl have both stated that they want the university to reapply, the decision isn’t entirely up to them. UA president Jim Johnsen says the hesitation stems from a lack of certainty that the reaccreditation process would be successful. He says the option for students to transfer to UAF in Fairbanks or UAS in Juneau, both of which have accredited education departments, is a safer option for now. Johnsen wouldn’t go into his ideal outcome for the university, stating that he’s keeping an open mind. Johnsen did say that discussions at this point have been primarily focused on students, and that no long term plans have been made for UAA department of education staff should the program not be reaccredited. Students will have two more opportunities to voice their opinions to the Board of Regents before they make their next decisions regarding UAA at the end of the month.